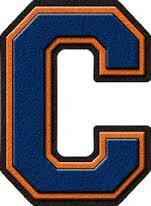 Letter C = COLORS – Orange and Blue! Here’s a link to our Newsletter with details about the LETTER C Sale! The Broncos are in the Superbowl – Let’s cheer them on with a team color sale! Save on all things Orange and Blue! ← B is for a BIG Sale on BIG Yarn and BATIKS!